I was a prankster in college. Very often, my pranks involved breaking rules. I would go into places I wasn’t supposed to have access, I would violate college policy, and, once, I caused property damage. That time, I got caught. And it wasn’t just that I caused property damage, I was a Resident Assistant and I led the students on my floor, the people I was supposed to be leading and setting an example for, into committing property damage with me. In hindsight, I probably should have been fired from my role as an RA. I demonstrated very poor leadership and took the pranking culture of my friends and colleagues on the Residence Life staff too far. Instead of being fired, I had co sequences: I was assigned a paper on leadership, a fine for the property damage, a service project for the people we hurt, and demerits. But what if an apology had been enough? What if repentance had been enough? What if all I had to do was say I was sorry and there was no additional consequence for my actions? This morning’s parable is a very famous one: the story of the prodigal son. As we hear, listen in particular to the story of the father and the reaction of the older son. Hear now this parable as if for the first time. It’s a wonderful, heartwarming story. The son who loses his way and then returns home, only to discover his father’s abundant love. The father who rejoices because his son that was once lost is now found; the son he counted as dead is alive! In my mind’s eye, I saw the prodigal as like so many college students who run off to college with their parents’ money, waste it on partying and luxuries, and then discover their partying and luxurious lifestyle has left them penniless and in trouble academically. When I worked in higher ed, I saw many first-year students act just this way. And very often, they’d come back to their parents in the spring semester of their first year begging for more money, offering their repentance, hopeful their parents would bail them out and provide just enough for them to live a basic lifestyle; no more partying, no more luxuries. They’d think to themselves like the prodigal: they lived better when they lived with their parents. Maybe their parents will provide at least a subsistence living to them. Perhaps you’ve been in this situation or watched family members in this situation. And I saw many parents who did, indeed, bail out their children but only sufficient enough to give them for their basic needs. They heard the repentance of their children, scolded them, and provided for their education to continue, but nothing else. No more eating out with friends, no more purchasing new clothes, no more partying. Just enough to live a subsistence lifestyle. Anything else, the parents declared, the student would have to earn at a job. And I saw some parents who pulled their children out of college and kept them at home, punishment for wasting their resources. No matter how repentant the child was, there was no second chance. In both of these situations, repentance wasn’t enough on it’s own. The children would have to demonstrate, over time, that they had truly reformed their ways before the parents would either reenroll the children or provide additional monies for luxuries. The parents needed to see reform. They acted much like the prodigal expects his dad to act: give them basics, live a subsistence lifesyle, until enough time has passed to prove that the repentance is real. Repentance isn’t enough. But what about those parents who brazenly continued to fund their child’s lifestyles of partying and luxury, not seeming to care about the impact to academics nor their bank accounts? I saw this most often. Children would call their parents, apologize for wasting money and failing classes because of partying. Parents would receive the repentance and not adjust their funding for the child at all. This cycle would then repeat itself over and over and over again: the child would party and repent, then the parent accept, with no consequence for the actions of the child. These parents are just like this father in the parable: demonstrating no consequences for the child’s actions. Isn’t that irresponsible? Consider this: what’s to stop this prodigal from running off with his father’s money again? He may have squandered his inheritance, but that doesn’t stop him from robbing his father, or cajoling his father into giving him more money later on. He may have hit rock bottom but that doesn’t mean that he won’t want to go live a loose, carefree, partying lifestyle in a foreign country again. No different than these college students who were, honestly, repentant when they’d hit rock bottom, failing classes and out of money, but who would quickly be seduced again back into the party scene when there was no consequence for their actions. The money, the fatted calf, just kept on rolling. Back when I finally got caught for my pranking, what if all I’d had to do was say sorry to the people I’d hurt and the college administration? That wouldn’t have demonstrated any learning. That would seem to get me off the hook with no consequences. Who’s to say that I was truly repentant? Or that, even if I was, I wouldn’t return to my pranking ways that could cause more damage and hurt and poor leadership? We need to see proof of repentance before we can really roll out the red carpet like this father does. He seems like a fool for doing so without having proof that his son is, indeed, reformed. For he has no proof. He runs to his son while his son is still a long way off. When he’s giving orders to throw the feast, he has no idea where his son has been, what his son has done; he knows nothing. All he knows is that his son has returned and offered repentance. The comparison to a partying college student really isn’t sufficient to demonstrate how selfish, how self-consumed even, this prodigal is. He cares nothing about anyone nor anything. And as he returns home, having wasted his fortune and hitting rock bottom, wouldn’t that memory still be fresh in the father’s experience? His son wished him dead, said he wasn’t worth anything more than the money he could provide. And yet, the father welcomes him back? Solely based on repentance? We have all done wrong things. And we’ve all paid the consequences of those actions, especially if we have superiors over us. We’ve all done wrong things in our jobs at times and been reprimanded. Perhaps those wrong things have come with consequences. We can all think back to being children and experiencing the consequences of our actions with our parents. Certainly, my children could tell you about consequences for their actions. Sometimes saying, “I’m sorry,” isn’t enough: there need to be consequences to both teach a lesson and to give the person who did the wrong a chance to demonstrate that the repentance is real. For repentance means to do a 180. The word here literally means to turn around and go the opposite direction. But we need proof that such is the case before we can really accept the apology, before we can really accept the repentance offered to us. Especially if we’ve been highly offended. So what kind of father is this? The parable is scandalous. The set-up for it is verses one and two of this same chapter, where the pharisees grumble that Jesus makes regular company with sinners and tax collectors. Jesus treats them as equals. The pharisees know better. These sinners should be coming to them for repentance, which involves consequences for their actions. After they’ve said they’re sorry to the priest at the temple, and thus to God, they must offer sacrifices, pay tithes, and perhaps do other acts of contrition to demonstrate that they’re really sorry. Jesus’s response to the grumbling of the Pharisees is a series of three parables, all about that which was lost being found. The last, and most famous, is this parable, perhaps better titled “the parable of the father’s love.” And for the pharisees, it’s scandalous. What kind of father simply welcomes back this kind of sinning son solely based on the father’s love for him? What kind of father would throw a party of this kind after the way the son has insulted him, has abused him, has wasted that which was entrusted to him? What kind of father would do that? What kind of father is this? This father is our Heavenly Father, God. For with God, repentance is enough. Such is scandalous. We have all been the prodigal. God has given us gifts and we have wasted them on our own pleasure. We have all asked for more from God than we have given to God, just as this son demanded that the father give him his share of the inheritance. We have all insulted God with such behavior. None of us is exempt. We have also been like the older brother: angry with God that someone else is blessed when we’re not. That person that’s blessed is clearly less deserving when we’re the ones who are righteous. We go to church most every week, we pray daily, we volunteer at the church, we do all the things we’re supposed to do; we’ve been serving God! And the person who hardly ever comes to church, who doesn’t show any of the fruits of the spirit, that person receives a blessing? That person’s life is going better than ours? We’ve all been the older brother: ungrateful and thinking that we’re more deserving than others; demonstrating the sin of superiority we talked about last week. None of us is exempt. None of us is exempt because we are all sinners who have been estranged from God. We were born in that condition. Knowing this, based on our earthly experience, it would only make sense that we would have to work our way back to God, that after telling God we’re sorry we’d have to prove our repentance. That only makes sense. But no, repentance is enough. Repentance is enough for restoration of relationship with God. All we have to do is tell God we’re sorry for how we’ve wronged him in our lives and we are fully welcomed in as an equal member of the family of God. I wonder this morning: have you told God you’re sorry for your sins? Repentance is enough no matter the sins we’ve committed. All we have to do is tell God we’re sorry for wasting all that money, for being so mean to our family members, for being so unforgiving of those who have wronged us, of being so resentful and bitter of the blessings others receive. I wonder this morning: have you told God you’re sorry for your sinful attitudes? God is waiting for you. Repentance is enough. Telling God, “I’m sorry,” is enough. That’s scandalous. We don’t operate that way. But God operates that way. That’s the scandal of God’s love. That’s the scandal of God’s grace. Repentance is enough. This morning, is repentance enough for you? 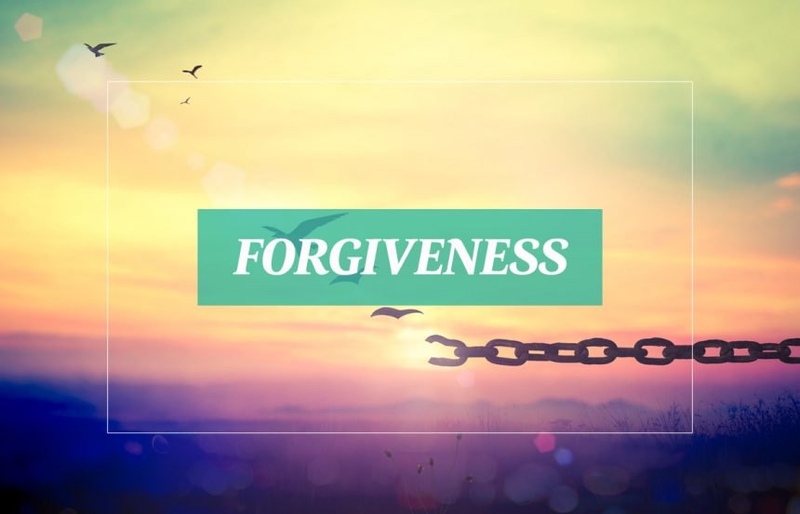 Have you given others forgiveness as God gives to us? Too many of us carry around bitterness, resentment, and hardened hearts toward family members and friends. It’s time to love them as God loves us: repentance is enough. Don’t be the older brother. Choose the attitude of the father. When you receive the apology, run with open arms toward your son, daughter, friend, aunt, uncle, cousin, nephew, niece, dad, mom, brother, or sister. Make repentance enough. Come to the altar and repent of your sins, whether the sins of the prodigal or the sins of the older brother. Be like the father, like God, to all those in your life who have wronged you in some way. God offers us such scandalous grace. So it should be that we offer the same. In the name of the Father, who offers scandalous love, and the Son, for whom repentance is enough, and the Holy Spirit who’s speaking to you and convicting you this morning, Amen.